China has always been proved to be on top of the tech world. There is no stone unturned in the field of technology that is not practised by the Chinese researchers. Their base of research and study is much vast in comparison with other companies. They have a record of holding the most intelligent species that walk on this planet. They sync their intellectual facts with the technology to make living comfortable for all. Many nowadays make the mistake of taking HTC as an US company distributor, but in fact it is a Taiwan based corporation which is run by Chinese intellectuals. Hi-Tech computing is supposedly the full form of HTC that was adopted by the board members. The company soon shifted their focus during 2009 in building android based mobile phones. This unique thought indeed had fruitful results. Every now and then a customer buys HTC mobile phones from the stores. 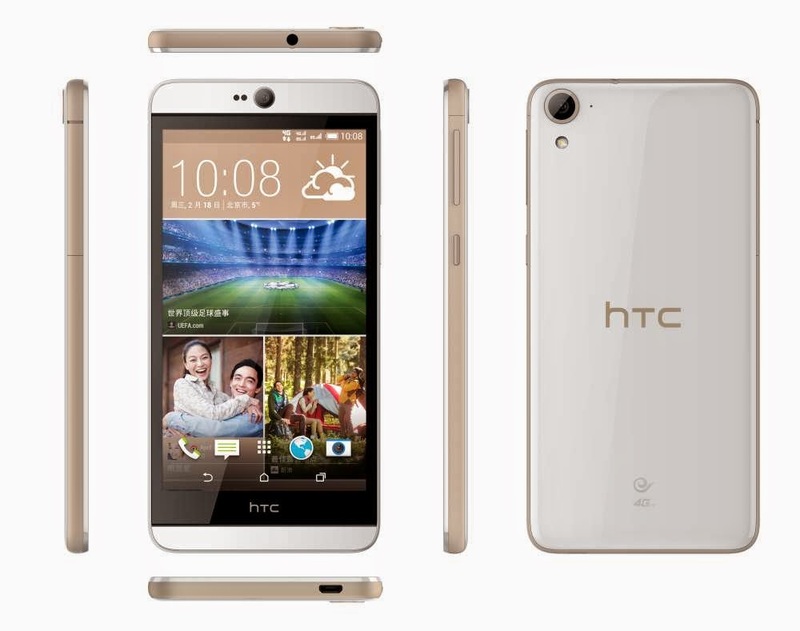 The latest full HD 5.5 HTC Desire 826 has indeed planted hopes in many. The prevalent HTC users are ready to replace their old android for this new version mobile phone for just an amount of Rs 25000-27000. The design and outlook of a mobile phone device is sometimes the sole factor that users buy them. Thus the design of the device should always be an attractive one. Keeping this property in mind HTC has designed this handset. The shape of the phone is rectangular and long. The back side of the phone is studded with a huge circular camera the rest of the part is covered with a shiny and smooth plastic fibre. This fibre comes in different colours although the most popular one is the blue colour. It also has some slight graphic designs of the fibre. Due to this fibre body expansion this mobile handset is very light in weight compared to other android devices. This less weight phone has generated a complex which many phone companies are suffering from. This handset also has the facility of a dual sim connection. The side of the phone has a metal ring all around to give it a chic look. The colour of the ring changes with every different colour product. This is an extra feature that is added by the designers to help in design based marketing of the product. The phone is covered with this certain fibre material to prevent it from breaking on impact. The fibre provides a mechanism that helps in balancing the tension of impact whenever the phone is accidentally dropped from hand. The display of this phone is bound to be an amazing one with all fine qualities. It has a screen of about 5.5 inches along with a super LCD show of 16M colours. This fine exhibit of the phone also has a resolution of about 1080X1920 pixels. All these features sum up to give a wooing effect to all the viewers. This special characteristic was designed keeping the needs and desire of the mass. After effective research and study HTC finally came up with the idea of providing the best to its users in spite of the cost. No need to buy an HD TV if you have this Desire model at hand. It distributes an even more comfortable viewing than others. It is a nano sim model which has a weight of about 180grams approximately. The internal phone memory has a capacity of about 16 GB which is a lot. But it also has the provision for expandable memory of about 128GB. This extendable memory can be in the form of a micro SD card. It has the latest 5.0.1 lollipop version of the android which is a latest edition of the software. It also has Qualcomm Snapdragon 615 processor which manages the 2 GB RAM. The CPU of this phone is made of quad core and it also has the latest technology of Adreno 405 GPU. This latest operating system version of android has all the necessary up to dated applications and programs which are running in the tech world in this century. This version is the ultimate most advanced operating system base. Along with the latest software trend this phone has many additional features which definitely complete this whole package of awesomeness. One of the many is the camera quality; the main camera of this phone has a mega pixel of about 13 along with other supplementary qualities like geo tagging facility, face recognition as well as HD quality pictures and videos. The secondary camera of this phone is about 4MP with clear picture excellence. The colour contrast of the display is very much comfortable for the eyes. The brightness adjustment facility provides a portrait that can be made suitable according to each and every vision aspect. This program also has a 3.5mm jack pre-built loudspeaker system which does not distort the audio quality of any file. It has a FM radio along with a Wi-Fi setup. This Wi-Fi setup can also be shared with other devices through the means of a hotspot. The inbuilt Bluetooth is of the version 4.1 which is considered the latest since its advent. The battery life of this product is beyond imagination. It has a round about 22 hours of talk time if you are using a 2G network and 19 hours with a 3G network. The standby time of this model is also terrific ranging to about 687 hours without any hassle or technology failure. This outstanding phone is a proof that the Chinese production and their hard work always creates something better that can be used for the benefit of the mankind. There is a variety of mobile handsets to choose from but buying the one that is exactly of your budget and also has all the latest applications is a tough find. This is the reason why HTC came up with this perfectly affordable mobile handset piece which can be easily afforded by many who love technology affairs.